,’ which humourously skewers the macho posturing of other bands). Fast forward 23 years and a scant three full-length releases, the most recent being 2009’s In the Music, and the Trashcans have leveraged their devoted fanbase to finance a new album. The first thing to hit you is the fullness of the sound. 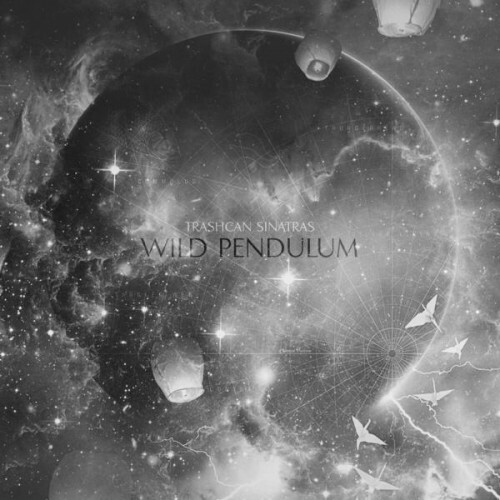 Though their previous albums have been stripped down at times, Wild Pendulum is consistently ornate, blooming with orchestral flourishes, tinkly piano loops, and even the occasional mariachi horn. The approach to arrangement can be a tad stifling at times, but the songs here shine through all the same. ‘Best Days on Earth’ is classic Trashcans, channeling effortless joy as only they can, with glittering guitars pairing beautifully with Frank Readers’ vocals. Speaking of Frank’s singing, he has a sort of everyman’s casualness, simultaneously intimate and crystal clear. Always one of the Trashcans’ main appeals, there’s plenty of gorgeous singing here, although it’s unfortunately forced to compete with some of the more crowded arrangements, and you wish they might have let the vocals stand out a bit more. For example, ‘All Night’ is one of the Trashcans’ catchiest songs ever, gliding along on a surprisingly danceable beat and infectious palm-muted guitars until its chorus really turns up the complexity by adding the aforementioned mariachi horns and some operatic singing (which doesn’t quite seem to fit, until you realize it’s sampled). You have to wonder if a less lushly orchestrated version of the album might have been more successful. But since the Trashcans’ strengths have always rested in their melodies and their unpretentious charm, it’s very difficult not to fall under the album’s spell. ‘I Want to Capture Your Heart’ is a shuffling lamplight serenade that exudes elegance, while ‘Ain’t That Something’ successfully recaptures the carefree swagger of classic Britpop, albeit set off by some intriguingly dissonant lyrics. Taken as a whole, Wild Pendulum marks the highly successful return of a much-beloved band, one willing to dedicate a song to you on YouTube or even teach you to play one of their songs on the guitar.